1 Who is Dafne Keen? 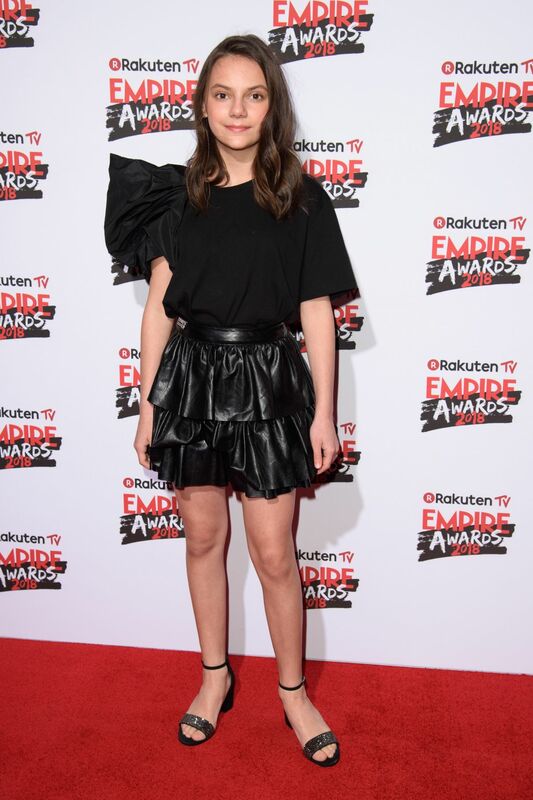 Dafne Keen Fernandez was born on 4 January 2005 in Spain, and is an actress, best known for her role in the 2017 film “Logan” in which she played the character Laura Kinney / X-23. She also starred in the television series entitled “The Refugees” as the character Ana “Ani” Cruz Oliver. How rich is Dafne Keen? As of early-2019, sources estimate a net worth that is at $300,000, earned through a relatively short but successful career as an actress. She’s won several awards and has been nominated numerous other times thanks to her work. As she continues her endeavors, it is expected that her wealth will also continue to increase. Dafne was born into a family familiar with the entertainment industry, as her mother Maria Fernandez Ache is a writer as well as a theatre director, while her father is British actor Will Keen. She is also the great-granddaughter of the 6th Earl Howe Edward Curzon who served in the Navy before becoming a prominent political personality in the United Kingdom. In 2014, she followed in the footsteps of her father, starting an acting career and appearing alongside him as Ani in the television series “The Refugees”. The story follows a rural community as they encounter refugees from the future who are seeking shelter in the present; around three billion people from the future travelled to the present to escape an imminent global disaster caused by a virus. She plays the daughter in the Cruz family which the story centers on. The season aired for a total of eight episodes, resolving the story in that span of time. While Keen earned only a little bit of attention for her role in “The Refugees”, this status would not stay long on her as she achieved her breakthrough role two years later when she was cast in the film entitled “Logan” as the character Laura based on the Marvel Comics character of the same name. The film is noted as the last with Hugh Jackman as the X-Men character Wolverine, and the last solo Wolverine film under his name. The film takes inspiration from the comics storyline called “Old Man Logan” and is set in a bleak future where an ill Charles Xavier and an aged Wolverine must transport mutant Laura, saving her from a villainous group called the Reavers. The film received a lot of critical acclaim for its screen play, and the acting of its three main characters, and praise for its tone, theme, action sequences, and its departure from traditional superhero films. It is one of the best reviewed films of the “X-Men” series, and many regard it as one of the greatest superhero films of all time, being nominated for an Academy Award for Best Adapted Screenplay. It is also the fifth highest grossing R-rated film trailing “Deadpool”, “The Matrix Reloaded”, “Deadpool 2”, and “It”. 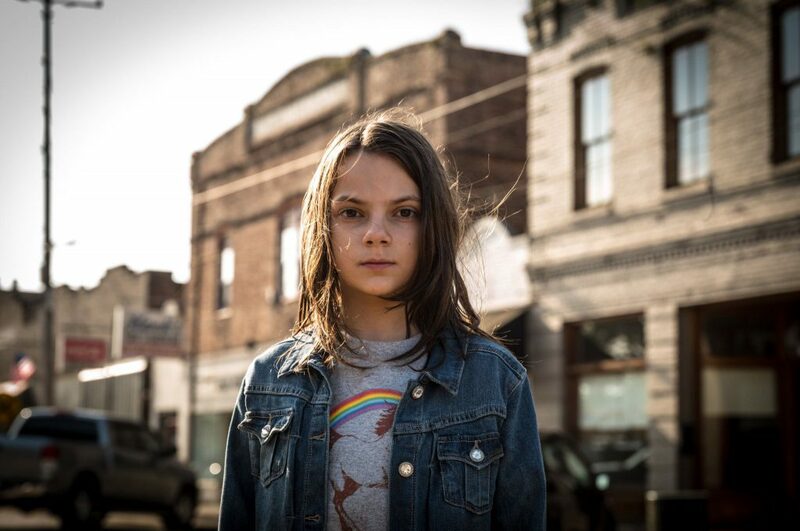 After “Logan”, Dafne started working on the adventure series entitled “His Dark Materials”, based on the novel series of the same name, aired through HBO and has been ordered to run for at least two seasons. Dafne’s father Will has participated in numerous British theatrical productions. Some of his credits include “The Arsonists”, “Kiss of the Spider Woman”, “Man and Superman”, and “The Rubenstein Kiss”. He’s also worked on several popular television projects, including “Sherlock”, “The Impressionists”, Midsomer Murders”, and “Wolf Hall”. His film work includes “Nine Lives of Tomas Katz”, and he recently worked on the Netflix show entitled “The Crown”, in which he played the Queen’s longtime Private Secretary Michael Adeane, and alongside her daughter in the television adaptation of “His Dark Materials”, based on the book trilogy written by Philip Pullman, set to appear as Father Macphall. Aside from his work in the UK, he has also done projects in Spain, on Spanish plays including “Romeo y Julieta”, “Cuento de Invierno (The Winter’s Tale)”, and “Traicion (Betraya)l”, as well as recordings in collaboration with Spanish composers. For her personal life, the assumption is that at 14 year of age, Dafne Keen is yet to indulge in the joys of romantic relationships. She is still young and focused on developing her acting career. Similar to numerous actors, she is highly active online through accounts on major social media websites, on websites such as Twitter and Instagram, on the latter showcasing a lot of personal photos along with a few video teasers of her upcoming projects, including photos alongside fellow cast members such as Hugh Jackman, who she’s has called her on-screen dad due to their work together. She also has a Twitter account on which she posts a bit about her work behind the scenes, as well as some of her recent appearances. In the past year, she’s been working on “His Dark Materials” though there have been large gaps between her posts, mainly due to the fact that she is busy with filming. She learned to speak Spanish fluently thanks to her mother’s teaching. There are also pages of her on other websites, but they are mainly fan pages dedicated to her and not managed by her directly.